Twitter restored a popular Beto O’Rourke parody account Wednesday after initially banning the account in question for violating the terms of service. 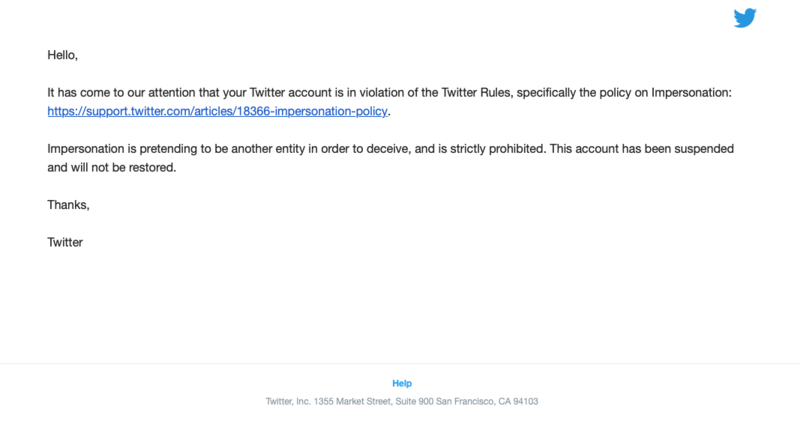 The suspension sparked the ire of many high-profile conservatives who pointed out that there are a number of Twitter accounts impersonating President Donald Trump that are not obvious parodies. FiveThirtyEight’s Nate Silver wondered why Twitter did not ask Beto’s Blog to update its biography and Twitter handle to make clear it is a parody before banning the account. 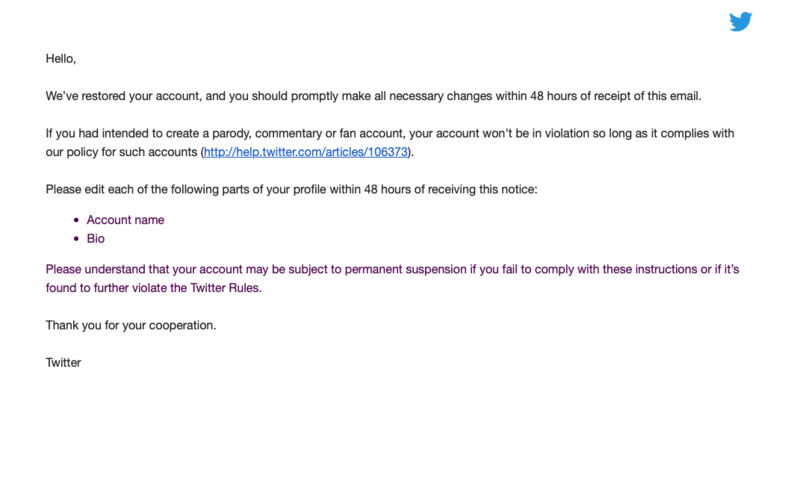 Approximately two hours after The Daily Caller reached out for comment about the account ban, Twitter backtracked and sent an email to the account owner, indicating that it could be restored if the owner updated the bio and handle within 48 hours. Just 20 minutes later, the account was restored. 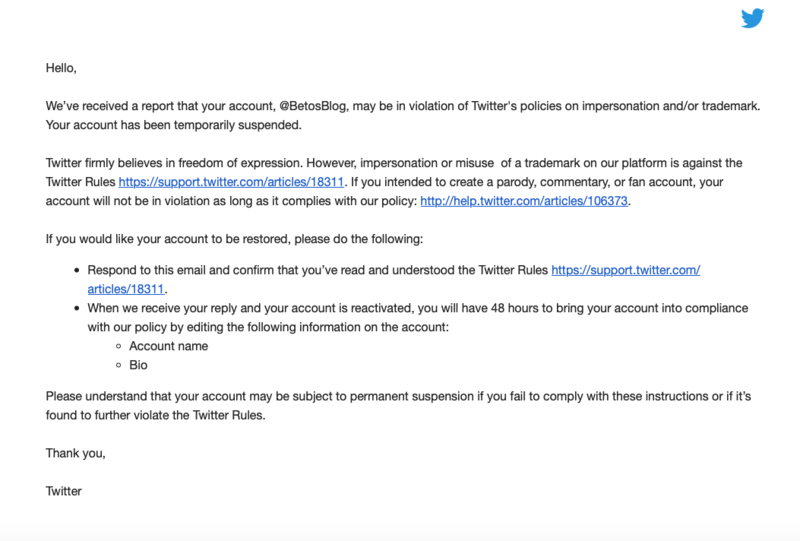 Twitter reiterated that Beto’s Blog would have to update the bio and handle within 48 hours or it would be subject to permanent suspension again. Twitter did not provide The Daily Caller with comment.